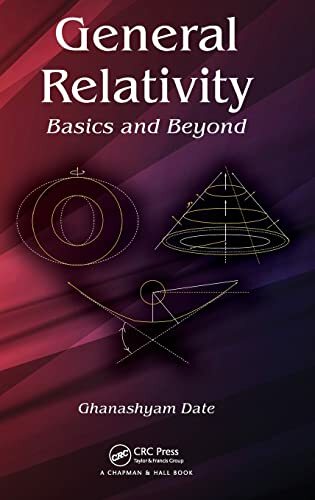 [PDF] General Relativity: Basics and Beyond | Free eBooks Download - EBOOKEE! Description: A Broad Perspective on the Theory of General Relativity and Its Observable Implications General Relativity: Basics and Beyond familiarizes students and beginning researchers with the basic features of the theory of general relativity as well as some of its more advanced aspects. Employing the pedagogical style of a textbook, it includes essential ideas and just enough background material needed for readers to appreciate the issues and current research. Basics The first five chapters form the core of an introductory course on general relativity. The author traces Einsteinâ€™s arguments and presents examples of space-times corresponding to different types of gravitational fields. He discusses the adaptation of dynamics in a Riemannian geometry framework, the Einstein equation and its elementary properties, and different phenomena predicted or influenced by general relativity. Beyond Moving on to more sophisticated features of general relativity, the book presents the physical requirements of a well-defined deterministic framework for non-gravitational dynamics and describes the characterization of asymptotic space-times. After covering black holes, gravitational waves, and cosmological space-times, the book examines the evolutionary interpretation for the class of globally hyperbolic space-times, explores numerical relativity, and discusses approaches that address the challenges of general relativity. 2017-11-06[PDF] Goodness Me it's Gluten Free PASTA: 24 Shapes - 18 Flavours - 100 Recipes - Pasta Making Basics and Beyond. No comments for "[PDF] General Relativity: Basics and Beyond".